Öjaby Kyrka dates from the 15th century and is located in a beautiful location on the western shore of the lake Helgasjön in Öjaby, a northern city district of Växjö. The church consists of a nave without choir, a side-mounted sacristy and a small church porch, the so-called weaponhouse. The bells from 1681 are located in a wooden bell tower next to the church, still ringing by hand. 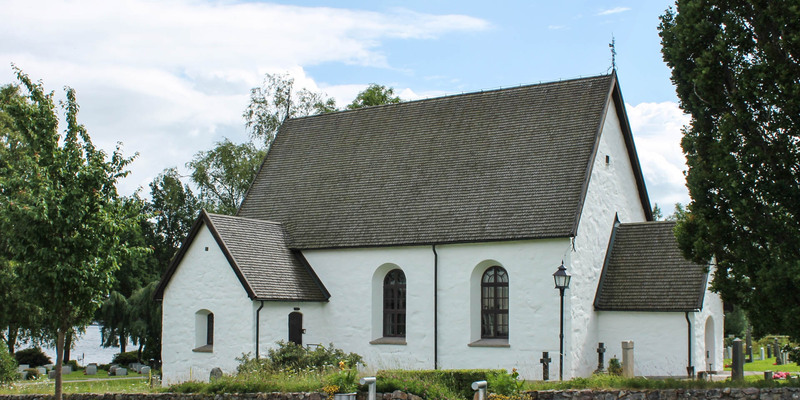 Öjaby Kyrka is one of the few small medieval churches near Växjö that survived the revival spree of Bishop Esaias Tegnér in the 19th century and was spared from demolition. 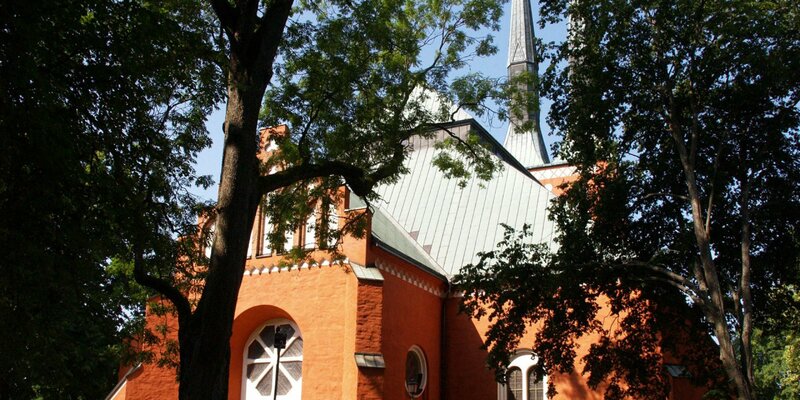 However, the roof and most parts of the medieval interior were destroyed in a fire in 1906. Some items like old Chalice, most wood sculptures from the 17th century as well as chandeliers and candlesticks were saved from the flames. 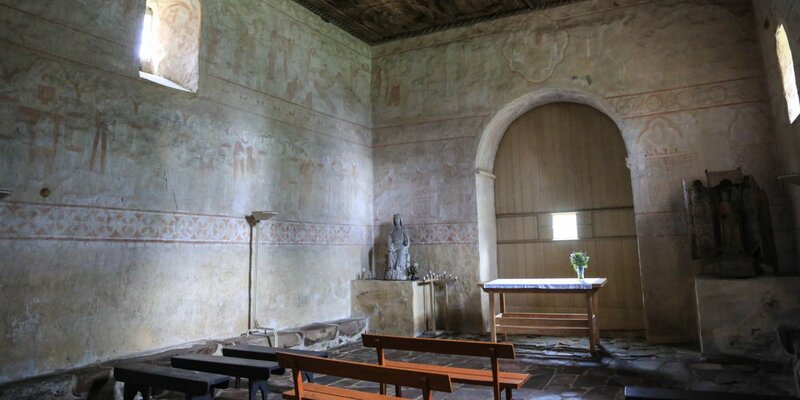 During the following restoration, the medieval appearance of the church was restored as much as possible and it could already inaugurated again in 1908. The rescued wooden sculptures are now part of the medieval styled altarpiece and the pulpit. The oldest object in the church is the baptismal font made of sandstone from the 13th century, which was not affected by the fire. 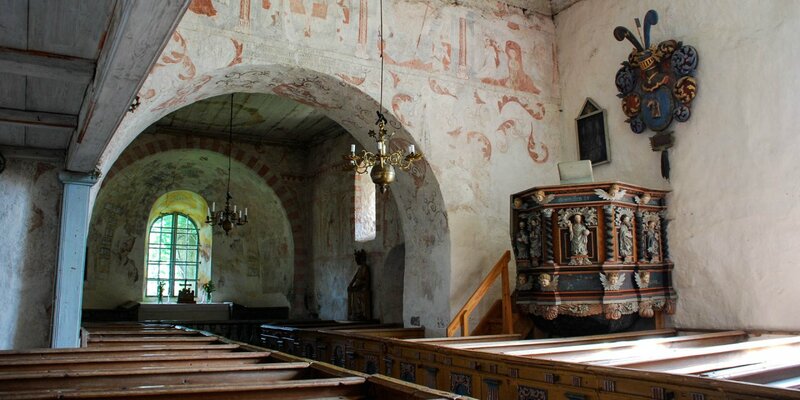 The altar as well as the church benches and the paintings are the result of the last major restoration in the years 1974/75.